Manufactured by Kythera Biopharmaceuticals, Kybella is the first non-surgical treatment for reducing a double chin approved by the FDA (Food and Drug Administration). 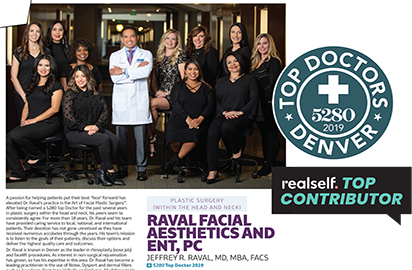 “Submental” fat (under the chin) is an aesthetic condition impacting the overall frame of the face that can now be treated through Kybella injections. To reduce submental fat, Dr. Raval will inject Kybella under the chin. The injected formula contains naturally-occurring deoxycholic acid that helps you naturally destroy and absorb fat cells. For moderate to severe double chins, multiple injections of the Kybella formula have been shown effective for thousands of patients in over 20 clinical trials. Consistent injections from an experienced injector over a period of months are recommended for steady improvement and reduced risk of side-effects. An FDA-approved injectable formula to treat the fullness of a double chin. 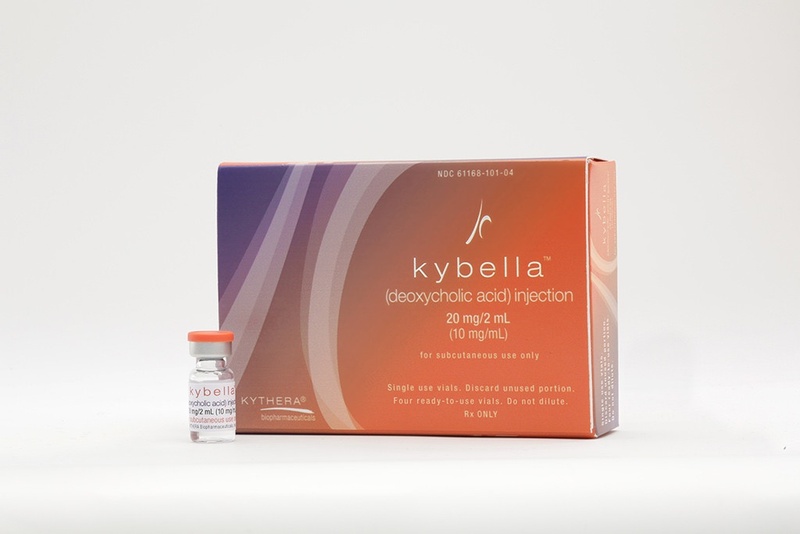 Kybella is manufactured by Kythera Biopharmaceuticals. WHAT ARE THE BENEFITS OF KYBELLA TREATMENTS? Kybella treatments can help reduce a double chin, a condition that can impact the overall aesthetic of the face. A double chin can lead to a older and heavier appearance. By reducing a double chin, Kybella can help improve the youthfulness and appearance of the face overall. WHAT DO KYBELLA TREATMENTS INVOLVE? Treatments work best through a series of injections spaced over a period of months. Each individual injection is a 15-minute, in-office procedure. The injection delivers a specially-designed formula to help reduce a double-chin gradually after your injection. No, as non-surgical treatments, Kybella injections are no-downtime procedures. WHAT ARE THE RISKS OF KYBELLA TREATMENTS? Treatments come with the slight risks of swelling, bruising, pain and numbness around the injection area. Some patients report short-term side effects like a mild headache or skin tightness after the procedure.